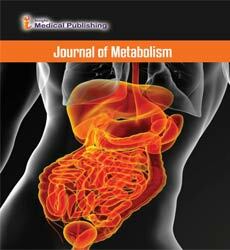 The Journal of Metabolism is a peer-reviewed, open access periodical dedicated to publish cutting-edge research in metabolism, and metabolism related disorders such as: Diabetes, Obesity, Hypertension, and cardiovascular diseases, with a special focus on inherited metabolic disorders. The Journal of Metabolism holds a special position in the scholarly communication milieu, as it focuses on the latest knowledge in the fields of metabolic pathways, metabolomics, and metabolic syndromes. The Journal places special impetus on metabolic pathways such as: Protein metabolism, Carbohydrate metabolism, Lipid metabolism, Bone metabolism, Mineral Metabolism, and Drug metabolism etc. The Journal also publishes scientific research on ancillary topics which affect metabolism, such as: exercise, nutrition, and endocrinology. Further, studies involving development of diagnostic techniques which allow a bird’s-eye view of metabolism in the native microenvironment, such as in vivo metabolic imaging techniques are also welcome. In addition to original research articles, the Journal also publishes high quality Commentaries, Perspectives, and Reviews, aimed at synthesizing new hypotheses and treatment strategies. Authors are invited to contribute their valuable inputs to the field of metabolic studies. Metal metabolism consists of delivering the correct metal ion to act where it is needed. Uptake, transport, buffering, storage and excretion must ensure that physiologically necessary metals are made available, though not in excess, and that deleterious metals are excluded or rendered harmless. Enzymatic insertion is also sometimes necessary for adequate selectivity of binding of a metal at its active site. Gluconeogenesis is a process of carbohydrate metabolism. It involves in the production of new glucose molecule from pyruvate,lactate,and amino acids like alanine or glutamine.It is a reverse process glycolysis.This process takes place in liver under the conditions of starvation and low glucose level.when glucose concentrain falls below certain point,so the liver synthesizes new glucose molecule to raise the level of glucose concentration in blood. Chemolithotrophy is a process of oxidation of inorganic molecule for the production of energy in the form of ATP. ATP is synthesized by the process oxidative phosphorylation. Chemolithotropic energy yield is low. Because of their high positive reduction potential. Reduced sulphur, nitrogen, iron species and hydrogen are the most common substrates this process. Carbon fixation or carbon assimilation is the conversion process of inorganic carbon (carbon dioxide) to organic compounds by living organisms. The most prominent example is photosynthesis, although chemosynthesis is another form of carbon fixation that can take place in the absence of sunlight. Organisms that grow by fixing carbon are called autotrophs. Heterotrophs are organisms that grow using the carbon fixed by autotrophs. Steroids are lipophilic, low-molecular weight compounds derived from cholesterol that play a number of important physiological roles. The steroid hormones are synthesized mainly by endocrine glands such as the gonads (testis and ovary), the adrenals and (during gestation) by the fetoplacental unit, and are then released into the blood circulation. The actions of glucocorticoids can be terminated by conversion of these steroids to biologically inactive forms. The processes by which these steroids are inactivated involve a number of enzymes and tissues. Lipids are fats that are either absorbed from food or synthesized by the liver. Lipid metabolism is the synthesis and degradation of lipids in cells. Lipid metabolism is the break down or storage of fats for energy; these fats are obtained from consuming food and absorbing them or they are synthesized by an animal's liver. Lipid metabolism does exist in plants, though the processes differ in some ways when compared to animals. Lipid metabolism often begins with hydrolysis, which occurs when a chemical breaks down as a reaction to coming in contact with water. Major part of human energy need comes from dietary triacylglycerols. Fatty acid oxidation is the major source of energy for ATP synthesis. β-oxidation provides energy to liver while ketone bodies generated by the conversion of Acetyl CoA serve as energy source for muscle and kidneys. Bone has an obvious mechanical function as well as it serves an equally important role as mineral reservoir. Bone remodeling is continuous, dynamic and lifelong phenomenon i.e. its inner structure and shape keep changing constantly in a well concert with normal variation in mechanical function and mineral exchange. Any disruption in this interactive system leads to various orthopedic and bone metabolic disorders. Osteomalacia, the most common bone disorder is mainly caused by mineralization loss and reduced availability of vitamin D.
Could Pulmonary Hypertension Be the Cause of Renalase Insufficiency? Does Impairment in the Metabolic Biochemistry of the Brain Necessitate Legal Revisions in the Actual Capabilities of Individuals Under Anti-Depressant Medication?